Thank you All My Family Moving Company!!! By far the best moving experience I ever had. From the first phone call to the last box being unloaded from the truck, you guys were great. Rodrigo thank you for being so helpful and taking care of us, you guys are definitely going far, just keep doing what you are doing and keep being honest and all doors will keep opening for you. I'm recommending you to everyone I know. Hello Debby, Thank you for the great review, we are happy that we could help and happy that your are part of the family now. Great company Thank you All My Family Moving Company!!! By far the best moving experience I ever had. From the first phone call to the last box being unloaded from the truck, you guys were great. Rodrigo thank you for being so helpful and taking care of us, you guys are definitely going far, just keep doing what you are doing and keep being honest and all doors will keep opening for you. I'm recommending you to everyone I know. 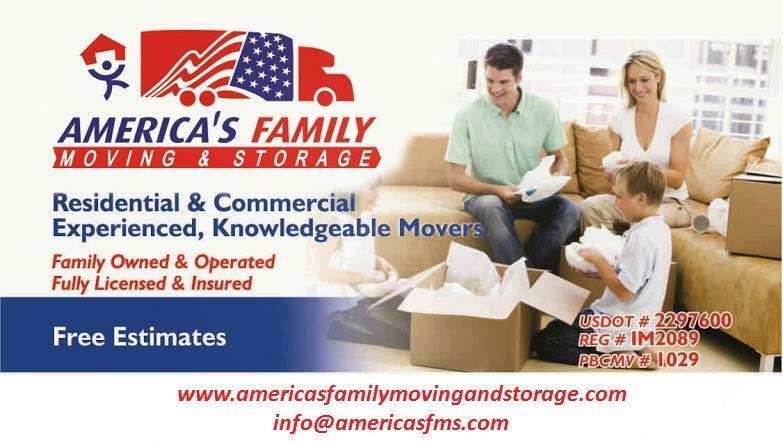 Great moving services!! I had a great experience with this company. Hello Timothy, Thank you for the good review, we appreciate your business. Great services Great moving services!! I had a great experience with this company. All My Family is the best moving company out there! Fast, reliable, and very respectful of both my belongings and my family. We moved from West Palm to Miami and everything went so smoothly-- STRESS FREE!!! Rodrigo and his crew are true professionals who really care about their job as well as their customers. I would definitely recommend All My Family Moving Company to anyone and everyone who wants their move done the right way! Hi Jessica, Thank you for the great review. We are here for you anytime you need. Best moving company in Florida All My Family is the best moving company out there! Fast, reliable, and very respectful of both my belongings and my family. We moved from West Palm to Miami and everything went so smoothly-- STRESS FREE!!! Rodrigo and his crew are true professionals who really care about their job as well as their customers. I would definitely recommend All My Family Moving Company to anyone and everyone who wants their move done the right way!